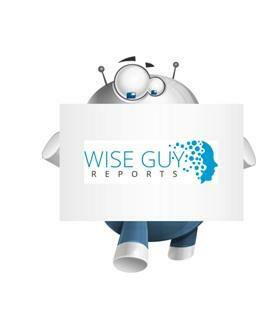 (MENAFN - GetNews) Wiseguyreports.Com Publish A New Market Research Report On – 'Home Laundry Industry 2019 Philippines Production, Supply, Sales and Future Demand Market Research Report To 2024'. WiseGuyRerports.com Presents 'Home Laundry Appliances in the Philippines New Document to its Studies Database. The Report Contain 38 Pages With Detailed Analysis. Changing consumer behaviour through the adoption of more modern lifestyles and heavier work schedules is contributing to the growth of home laundry appliances. As more women join the workforce and leave behind traditional assigned gender roles such as staying at home and doing the laundry, home laundry appliances reduces the time to complete washing chores. This trend has remained in force in 2016. Euromonitor International's Home Laundry Appliances in Philippines report offers a comprehensive guide to the size and shape of the market at a national level. It provides the latest retail sales data 2011-2015, allowing you to identify the sectors driving growth. It identifies the leading companies, the leading brands and offers strategic analysis of key factors influencing the market be they new product developments, format trends or distribution issues. Forecasts to 2020 illustrate how the market is set to change. Product coverage: Automatic Tumble Dryers, Automatic Washer Dryers, Automatic Washing Machines, Built-in Home Laundry Appliances, Freestanding Home Laundry Appliances, Other Home Laundry Appliances, Semi-Automatic Washing Machines.